AoB PLANTS, the Open Access journal for environmental and evolutionary plant biology, is looking for a new Editor-in-Chief. Published through Oxford University Press, this journal is dedicated to rapid publication of research articles, reviews, commentaries and short communications. AoB PLANTS provides a fast-track pathway for publishing high-quality research in an open-access environment, where papers are available online to anyone, anywhere free of charge. 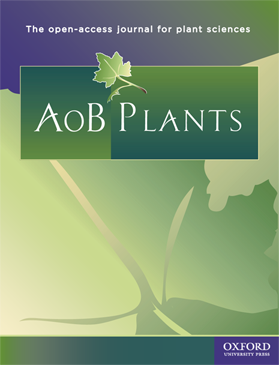 Full-text downloads of articles published in AoB PLANTS currently exceed 16,000/month. The journal is indexed widely (including Web of Science) and its Impact Factor for 2016 was 2.238. Journal Citation Report currently ranks AoB PLANTS at 63/211 among journals in the Plant Sciences and in 2017 the journal will also be ranked in the category of Ecology. The company continues its support for the journal a decade later. From January 2018, Article Processing Charges for AoB PLANTS will be levied at the subsidised rate of $1350 per paper. The Chief Editor will be a plant scientist of high international standing who also has proven editorial experience. S/he may be located anywhere in the world, as the journal’s operations are conducted entirely electronically. The position of Chief Editor is part-time and it is expected that the successful candidate will already have an appointment at a university or research institution. The time to be devoted to the journal is nominally one day per week, or equivalent. The terms of remuneration are flexible and may involve personal payment, institutional payment, a salary buy-out, or a grant aided post at the editor’s home institution. You can download the particulars here. A bit of warmth and we all go bananas! ?